It's 03:52 in Germantown, USA right now. City of Germantown A webcam in Germantown, Tennessee - camera location: City of Germantown. Memphis, Tennessee: Windyke Country Club, 14.2 miles away. 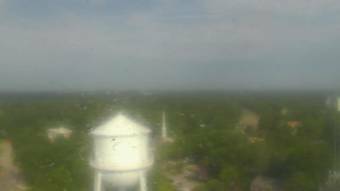 Clarksdale, Mississippi: Heldelberg Elementary School, 75 miles away. Clifton, Tennessee: City of Clifton, 104.5 miles away. Tuscumbia, Alabama: Alabama Music Hall of Fame, 121.9 miles away. Little Rock, Arkansas: Plaza West Building, 142.2 miles away. Dover, Tennessee: Dover Weather Center, 146.9 miles away. Fairview, Tennessee: Camp Marymount, 163.2 miles away. Clarksville, Tennessee: Moore Magnet Elementary, 169.7 miles away.